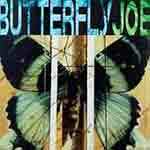 Former Dead Milkman frontman Joe Genaro's new band, Butterfly Joe, is a beautifully sad and bleak look into the mind of the man who penned 'Punk Rock Girl'. Where the Dead Milkman was blissfully silly punk rock, Butterfly Joe's songs are near-acoustic, surreal folk ballads touching on subjects as varied as PCP-addicted fathers, mean boyfriends, autopsies, and Wisconsin. Backed by the stellar sax/trombone/accordion/french horn cast of The Big Mess Orchestra, this debut proves that Genero's skill as a songwriter has grown up just as much as he has.